The Atlas mountains stretch across Morrocco, Algeria and Tunisia, separating, or uniting, the west Mediterranean and Atlantic coastlines from the Sahara desert and the rest of the African continent. This bit of land holds a particular place in my heart. 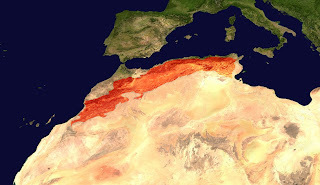 It is the land of my ancestors, the Berbers, who have managed to adapt to various influences throughout time, while keeping their own traditions and culture. People in this region of the world share common languages, culinary traditions and social codes. People in the Atlas also have one common ancestral tradition: babywearing. 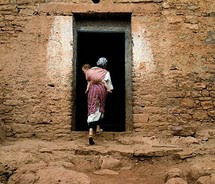 Berber women, as in many traditional societies, have historically been the centre of the household: they looked after their children, gathered food from family fields and orchards, cooked, took care of animals with the help of older children, weaved, made pottery, gathered wood. One wonders what men used to do; probably holding meetings (thadjmaat) and discussing "important matters". How could a woman do all this while still looking after her baby? With the help of the extended family and, yes you guessed it, a sling. 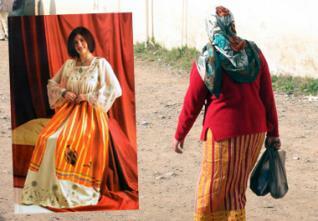 The fudha (fouta or mendil) is a large square of material, related to the Indian sari. It is worn tied around the waist, stretching to the shins or ankles. It is used for modesty, and is a symbol of fertility, as it is traditionally worn by married women only. 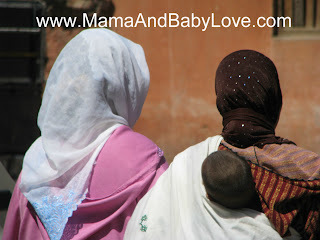 Berber mothers have traditionally carried their babies in their fudha. This is how my own mother carried me, how my grandmother carried my mother, and my great-grandmother carried my grandmother etc. 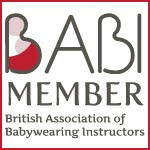 Nowadays, despite the increasingly widespread use of pushchairs, I am hopeful that babywearing will soon become normal again. North Africans have only been "disconnected" from traditional babywearing for a generation. And like Ahmed Soultan says: "The future is Africa". 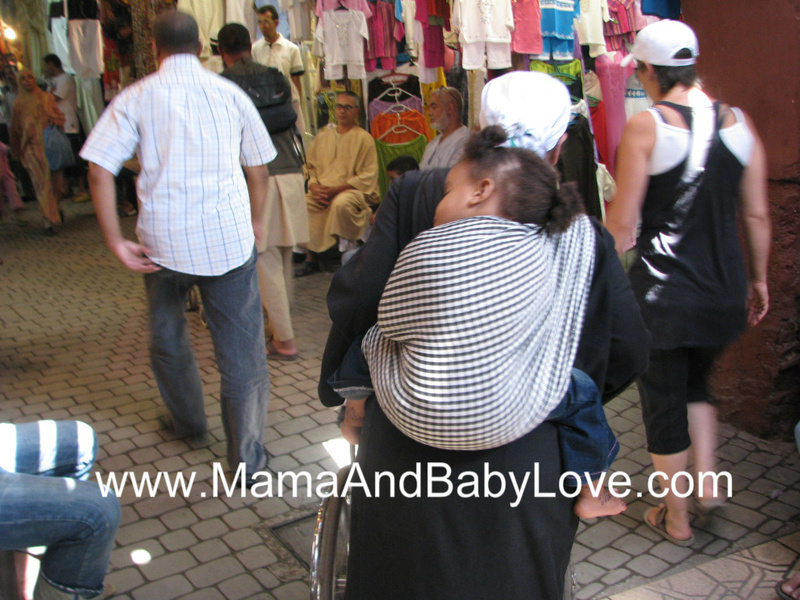 Thanks to the lovely Stephanie from Mama and Baby Love for the great photos she took on her trip to Morrocco.